The beauty of a cloud gaming service is two-fold: 1) you can theoretically play any game, anywhere you’ve got a good enough internet connection to stream it over the net, and 2) even if you’re playing it on a wimpy smartphone, you can harness the power of a beefy server located in a data center. But what kind of server matters a whole heck of a lot when it comes to graphical fidelity and keeping the service affordable, given how many players may be using those servers at a given time — and it turns out that Google’s just-announced Stadia cloud gaming service may have struck a balance between power and price by partnering with AMD for a new custom piece of silicon. Google wasted no time in comparing that teraflop number against the Xbox and PlayStation competition — where the Xbox One X manages a mere 6.0 teraflops, and the PS4 Pro around 4.2 teraflops. 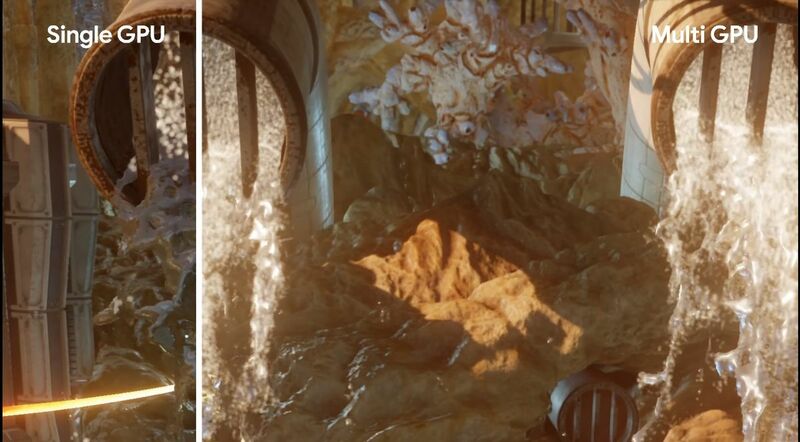 Of course, that comparison conveniently omits that today’s top PC gaming graphics cards can easily top 10.7 teraflops, but it’s far closer to a high-end PC than consoles generally come. In fact, AMD already had a GPU with around 10.5 teraflops of single-precision compute and the same 56 compute units: the RX Vega 56, which launched as a $400 graphics card in 2017. Note that we’re expecting a PS5 and a next-gen Xbox as soon as next year, whose chips will no doubt be faster. What does Google’s 10.7 teraflops mean in practice, though? 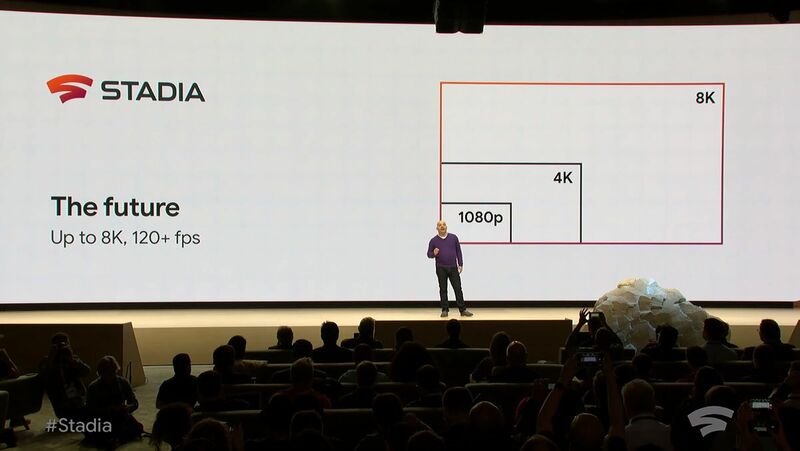 Google says that at launch, you’ll be able to play games at 4K resolution, 60 frames per second with both HDR and surround sound, while simultaneously sharing a 4K, 60 fps stream of your game live to your YouTube followers. And Google says it’ll upgrade that to 8K and 120 fps gameplay in the future, though it’s not clear how far off a future we’re talking about. Theoretically, game developers could design their games to use many distributed GPUs for more impressive graphics than any single beefy gaming PC would be capable of on its own — but then there’s the economics to think about. But Google didn’t address those economics one bit during its presentation today, and didn’t even hint at a price for this service. Hopefully, the AMD deal is a step in the right direction. What we do know is that Google will have those servers set up at 7,500 different locations around the world, which could help ensure your games don’t lag behind your button presses — traditionally, cloud gaming services can have that problem if the servers are too far from your house. Update, 4:44 PM ET: While it sounded like Google was using an AMD CPU in addition to the custom AMD GPU, it’s no longer clear that’s the case: Eurogamer says Google wouldn’t talk about the CPU vendor, and the spec sheet we received from Google doesn’t specify.